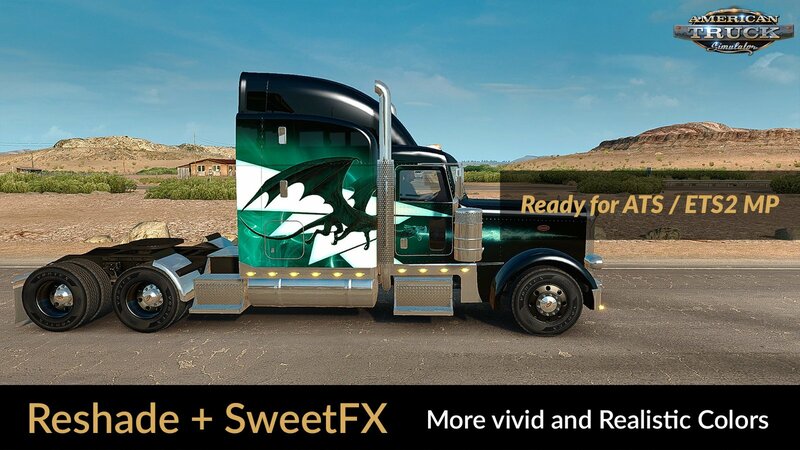 Reshade v3.0.8 + SweetFX v2.0 Final (Preset v1.2) (1.28.x) for American Truck Simulator game. More vivid and realistic colors for a better gaming experience. The Filter FXAA was activated in (SweetFX v2.0 and Reshade v3.0.8) with little intensity so that it does not affect the quality of the game environment.